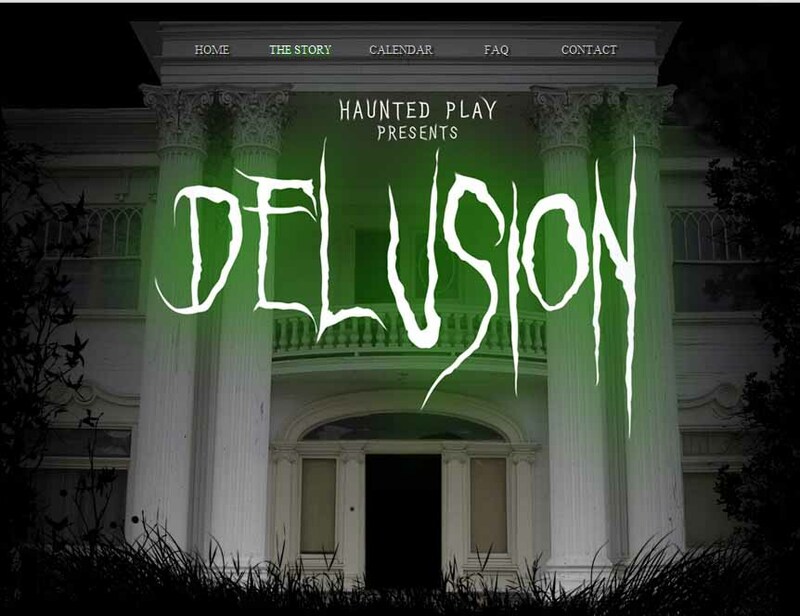 You should go see Delusion, the new Halloween haunted house that just opened in Los Angeles. No, really. Stop reading this now, and go buy your tickets. What more do we need to tell you? I mean, you know us, right? Have we ever steered you wrong? We call 'em as we see 'em, but we're always careful to identify the strengths and weaknesses; we endeavor to pinpoint the appeal, so that readers can make informed decisions about what is right for them: are the scares intense or mild; will you be shocked out of your skin or will you experience a more subtle shuddery chill? In this case, however, we feel no need to equivocate or hedge our judgment. Delusion is the best Halloween attraction we have attended this October - the "Mount Everest of haunted houses" (if we may borrow a line from THE LEGEND OF HELL HOUSE). It's not just the mother load; it's the Holy Grail - the eternally sought goal, which seems always out of reach, but which we suddenly find in our hands, as if by miracle. Okay, so you want specifics, not just hyberbole. What makes Delusion great? Interactivity, authenticity, drama, dialogue, a fully integrated back story - all of these combine to create a truly immersive experience unlike any other we have encountered. In short, Delusion actually does what other Halloween attractions only claim to do. This is the actual location, not just a good piece of advertising art. "Interactivity" has been a buzz word among Halloween haunts for a while, but few deliver it in more than small doses. For example, Halloween Horror Nights at Universal Studios Hollywood promises to put you inside a horror movie, but you are really just inside very well designed sets inspired by horror movies. Delusion takes you to the next level, staging its action within a real house, a crumbling mansion that provides the sort of convincing atmosphere that a set can only imitate. More important: you are not just inside the house; you are inside the story. You are a character - a small, supporting character, to be sure, perhaps nothing more than a glorified extra, without a single line of dialogue, but your presence is necessary - and acknowledged by the wicked inmates of this abysmal asylum. Which feels like a miracle in itself. Almost every Halloween attraction comes with a back story, courtesy of its website or press release, but few if any of them ever make that story clear within the actual haunt. Delusion does. You have been summoned by letter to a clinic, where a former colleague has been working in seclusion for years, developing experimental treatments that have yielded...unorthodox results. 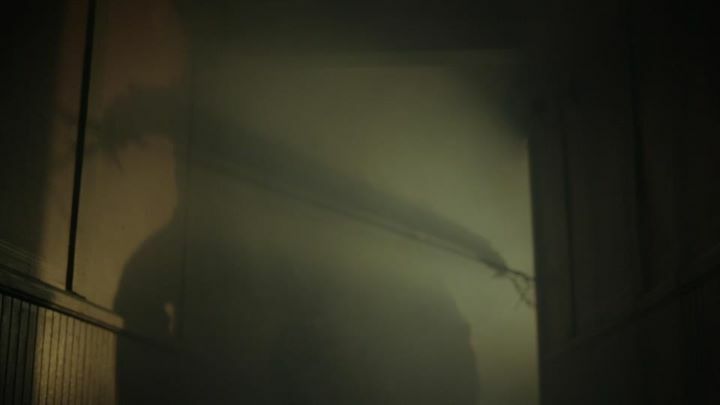 Your tour of the facility goes bad from the moment you cross the threshold, as your guides rush you from room to room, narrowly avoiding the dangers lurking in shadows and behind doors. The story is scripted and carefully choreographed, yet the performances are lively, fluid, with subtle variations demanded by the not always predictable reactions of the audience. You may be required to assist, asked to retrieve a key from the hand of an apparently dead inmate. But is he really dead, and will he surrender the key? Ghastly events will play out before your eyes, but you will be powerless to stop them. Your only recourse is to save yourself, but how can you escape when you are trapped inside the house with its demented denizens? You never know what might be coming down the hall. You may think you can keep a level head under duress, but your phlegmatic pose may be sorely tested when your colleagues start to panic and stampede like frightened cattle. The group mindset threatens to take over; rushing through doors, up and down stairs, in the dark, you may find the atavistic fight-or-flight instinct taking seizing control of your heart, no matter what your mind tells you. In short, Delusion is the haunted house attraction that you have always imagined when reading the advertisements for other Halloween events. It delivers what the others promised. *Tours take place every fifteen minutes or so, in small groups (twelve or fewer). The smaller the group, the better the experience. This may mean a longer wait in line, because visitors are not herded through like cattle, but the wait is worth it. *You will be going up and down stairs in the dark, and you need to hurry, while your panicked colleagues are pushing and shoving you aside. If you don't feel nimble, Delusion may not be for you. *The usual rules do not apply. You must keep up and stay with the group, even if someone must drag you along. 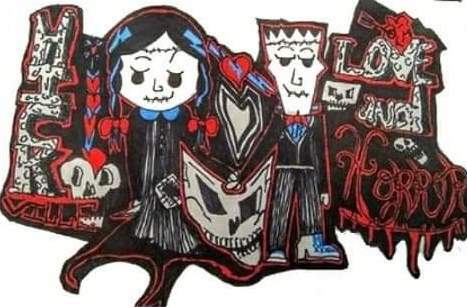 Unlike the denizens of other Halloween haunts, these misfits and maniacs are not shy about touching you - and they don't always let go. *Although there are several jump-scares, Delusion goes beyond the usual haunted house tactics. The cast get up close and personal, for extended periods. You are not just an observer, and even in a relatively large group, you stand a good chance of being singled out for special attention. *Delusion is definitely not for kids or the faint of heart. Our biggest concern going in was the press release statement that Delusion was master-minded by a Hollywood stunt man. We feared that the theatrical aspects of the presentation would be a mere excuse to string together some fight scenes. This fear proves to be unfounded. There are memorable stunts: a couple characters seem to float or even fly; another is helplessly dragged down a long corridor by unseen psychic powers; yet another descends precipitously and unexpectedly from the ceiling. But these bits are well integrated into the story; the tail does not wag the dog. Delusion is novel in its approach, but ultimately it is not a novelty attraction. Which is to say, we did not walk away thinking, "Well, that was different - a nice change of pace from the usual haunt." Our reaction was more along the lines of Dr. Egon Spengler in GHOSTSBUSTERS: "I'm terrified beyond the capacity for rational thought." Well, that last is a bit of an exaggeration, but we're trying to make a point that should go without saying: in case you've missed the hints we've been dropping, Delusion is scary in a way that few if any other Los Angeles haunts are. The Theatre 68 Haunted House has some similarities, and perhaps Wicked Lit (which we have not attended yet). But you won't experience anything like this at the Knotts Berry Farm Halloween Haunt or the Six Flags Magic Mountain Fright Fest. In short, Delusion jumps straight to the top of our 2011 must-see list. As I said at the top: you really should go see Delusion. 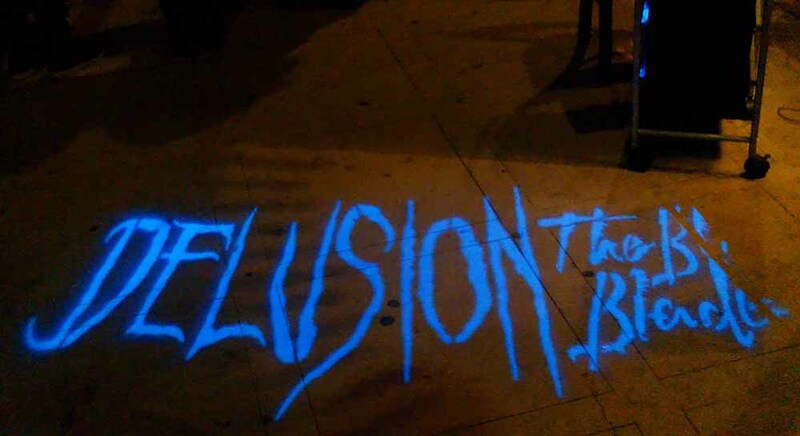 Delusions continues throughout October at 2218 S Harvard Boulevard, Los Angeles, CA 90018. Performances start every hour from 7pm to 11pm on weeknights, with additional midnight shows on Fridays and Saturdays. For more information, check their website: www.hauntedplay.com. Click here to find more Halloween Horrorshows, Performances & Excursions.